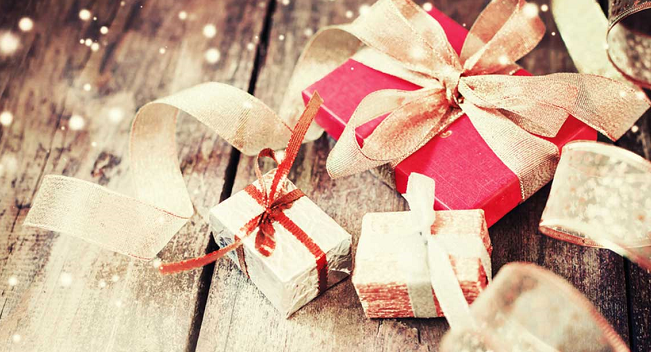 Here’s are some interesting gift ideas to make your holiday shopping easier. Our “something for everyone” list includes original gifts for family and friends of all ages, from tots to teens to seniors. If you are looking for a really unique gift for the home, check out the suggestions under “Homeowners” and “For the Vacation House” for some useful devices that every homeowner will appreciate receiving. 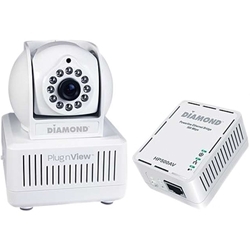 With a Diamond PlugnView Remote Baby Monitor, parents can check up on baby from anywhere, anytime, whether they are sitting in the next room or miles away at their office. The PlugnView video baby monitor works with all iPhone or Android smartphone or tablets with 3G, 4G, LTE or Wi-Fi connections. The advanced IR night vision lens works up to 16 feet away so parents can look in on their children, even when the room is dark. Families have always loved the popular Safety Turtle water immersion pool alarm because it’s easy to use, reliable and always ready. Now there’s an improved version – the new Safety Turtle 2.0 Child Kit – that has greater range and works in salt water. To use, just secure a turtle wristband to a child’s wrist. If that wrist gets wet, the Safety Turtle alarm will sound. Each alarm can support and unlimited number of wristbands or Safety Turtle pet tags. And because it’s portable, you can take it with you on vacation or to a friend’s house. 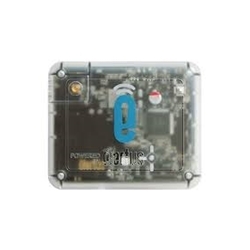 Impress the techies on your list by giving them the Elertus WiFi Smart Sensor, one of the least expensive monitoring and messaging devices on the market today. Use the Elertus to protect valuables against temperature, humidity and theft. Whenever there is an “event” — such as when a door opens unexpectedly — the wireless Elertus sends a text message or email to up to 5 smartphones. Elertus is battery powered so it’s easy to install. The Elertus cloud-based app works with iPhone, iPad, iTouch and Android smartphones. Owners of expensive equipment, gear, vehicles or boats will love getting a SPOT Trace, the anti-theft device that uses satellite technology to track the location of valuable assets virtually anywhere in the world. Powered by long-life lithium batteries, SPOT Trace is compact and easy to install. 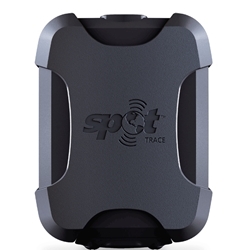 When movement is detected, SPOT Trace sends out theft-alert text messages or emails. View and track the location of the object’s GPS coordinates in near real time using Google Maps on your smartphone or computer. Teens and millennials depend on their cell phone to stay connected 24/7. Ensure that they’ll never miss a phone call or text when their cell phone is on “vibrate” or when the ringer is silenced by giving them the DreamZon LightOn Mobile Phone Signaler, the cell phone cradle that flashes a bright LED when the phone rings or receives a text message. 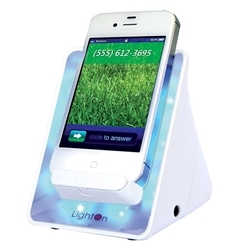 The battery-powered LightOn is simple to use and works with nearly all mobile phones that have a vibration mode. Add a bed shaker for a silent wake-up when a call or text is received. Searching for an outlet to charge a cell phone can be really frustrating when none are available. Give the young people on your holiday list a Datexx PowerNow Buddy smartphone battery charger and they’ll always have a portable, reliable way to charge their iPhone or Android phone. PowerNow Buddy holds 97% of its charge after 1 year, compared to only 3 months for competitive chargers, and has a super bright LED flashlight for emergency lighting. Charges a smartphone in under 3 hours and recharges itself in 6 hours with a USB/AC adapter. The Clarity Photo Phone P300 is the perfect solution for seniors with mild to moderate hearing loss or low vision. It provides up to 26dB of amplification, making voices not only louder but also clearer and easier to understand, and features nine programmable speed-dial buttons that hold pictures of family, friends or other frequently called numbers. For users with vision problems, the extra large number pad makes dialing easier. Here’s an affordable in-home monitoring and emergency alert system that lets family or caregivers check in on grandma or grandpa from anywhere and see live video on their smartphone. The plug-and-play Oplink Connected Care system (with the IP camera option) is wireless and takes less than 15 minutes to set up. 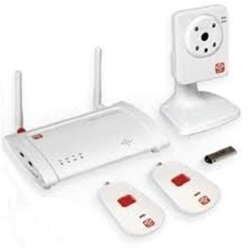 Includes two wearable panic buttons that send instant alerts, an IP camera with night vision and an inactivity sensor. The Connected Care system with the IP camera is the ideal gift for seniors living alone. 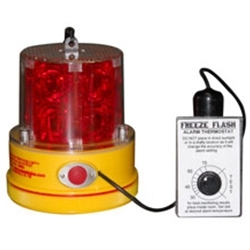 If you are looking for an original gift idea for homeowners who love to travel, the battery-powered Freeze Flash Battery-Powered Low Temperature Warning Light is a must-have device to help protect their unoccupied home from water damage caused by frozen pipes. Place the alarm in a window that’s highly visible from the road and neighbors will be alerted with flashing red LEDs if the heat fails and the inside temperature drops below the temperature set-point. 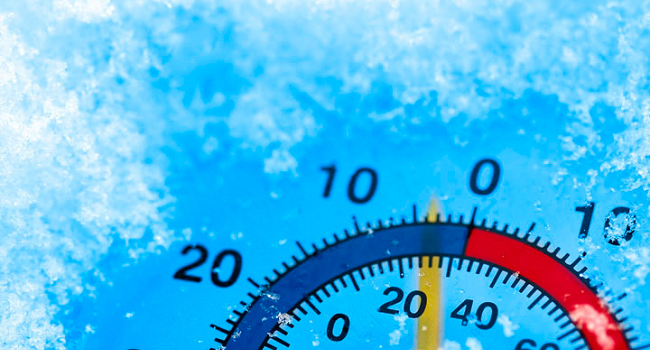 Temperature range is 30°F to 70°F. Here’s a reliable way to protect a house against disastrous leaks and water damage caused by common plumbing and appliance problems. 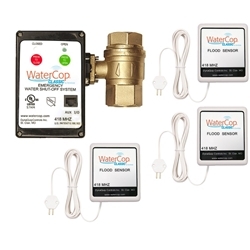 When one of its wireless sensors detect moisture, the WaterCop “Sergeant” Water Shut-Off System sends a signal to the receiver to turn off the main water supply line before there’s costly damage from flooding. 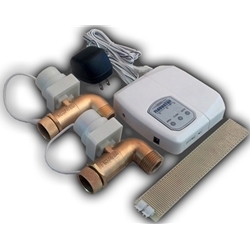 This system includes a main line electric shut-off valve and three wireless flood sensors. Additional sensors can be added. The super bright PupLight makes dogs visible up to a mile away, keeping them safe on and off the leash! 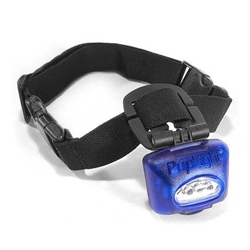 PupLight comes with on adjustable collar that fits all dogs, even longhaired pets. The three ultra-bright LED illuminate the road yards ahead so you and your dog can see better and avoid hazards. 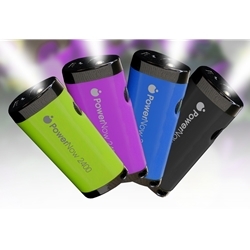 PupLight uses AAA or rechargeable batteries and is available in four colors. 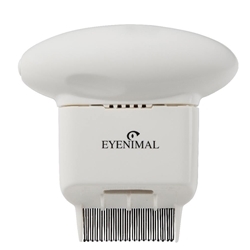 The Eyenimal Pet Electronic Flea Comb is the better way to fight off fleas without messy and potentially harmful chemical treatments. The teeth of the electronic flea comb kill parasites instantly using an electric shock that is non-perceptible to animals or humans. Can be used on cats and dogs. In addition to killing fleas, it removes foul odors from your pet’s coat and leaves fur shiny. Powered by two AA alkaline batteries. The Intermediate Freeze Alarm is a thoughtful gift for second homeowners who worry about the devastating consequences of a furnace failure or power outage. 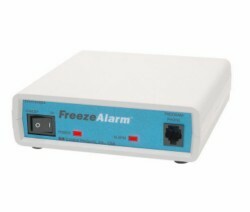 With a freeze alarm standing guard, they’ll receive a phone call if the temperature goes out of range, if the power goes out or if the back-up battery needs replacing. The Intermediate model continuously calls up to 3 phone numbers and leaves a voice message describing the problem. Homeowners can also call in to check the current temperature and power status. For only $30 more, give them the multifunctional Deluxe Freeze Alarm that allows homeowners to adjust heat or A/C remotely by phone, a feature that vacation homeowners really love! The Deluxe model also accepts optional flood sensors and motion detectors to monitor for water leaks or intruders. With a Kidde RemoteLync Smart Home Smoke/Carbon Monoxide Alarm Monitor, homeowners will be notified when there’s a smoke or carbon monoxide emergency even when they’re away from the house. 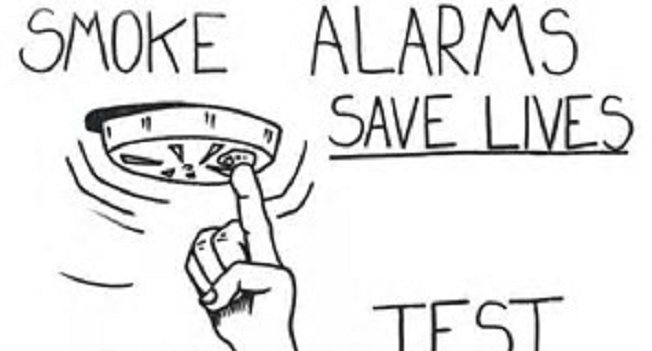 RemoteLync “listens” to existing smoke and CO alarms all day, everyday. If an alarm goes off, it automatically sends an alert via a free app to an iPhone or Android-compatible smartphone or tablet. It can even be programmed to call 911. One RemoteLync covers an average-sized home. 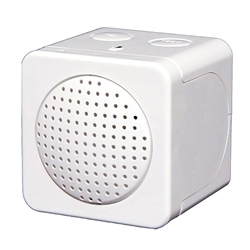 Plugs into a wall outlet and communicates via the home’s wireless router. Great for primary residences and rental properties too. Whether at home, at work or on vacation, a washing machine flood can go undetected for hours or even days, spilling 500 gallons of water per hour onto the floor! The Floodstop Washing Machine Valve Shutoff Kit prevents this kind of disaster. When the Floodstop water/leak sensor detects water under or near the washing machine, it immediately turns off the hot and cold water supply. Floodstop is easy to install and completely lead free. It can be hooked up to a home security system to receive notifications when it’s been activated. If you are looking for additional gift ideas or are on a tight budget, look at the other gift articles on the diycontrols.com blog site for more gift suggestions.